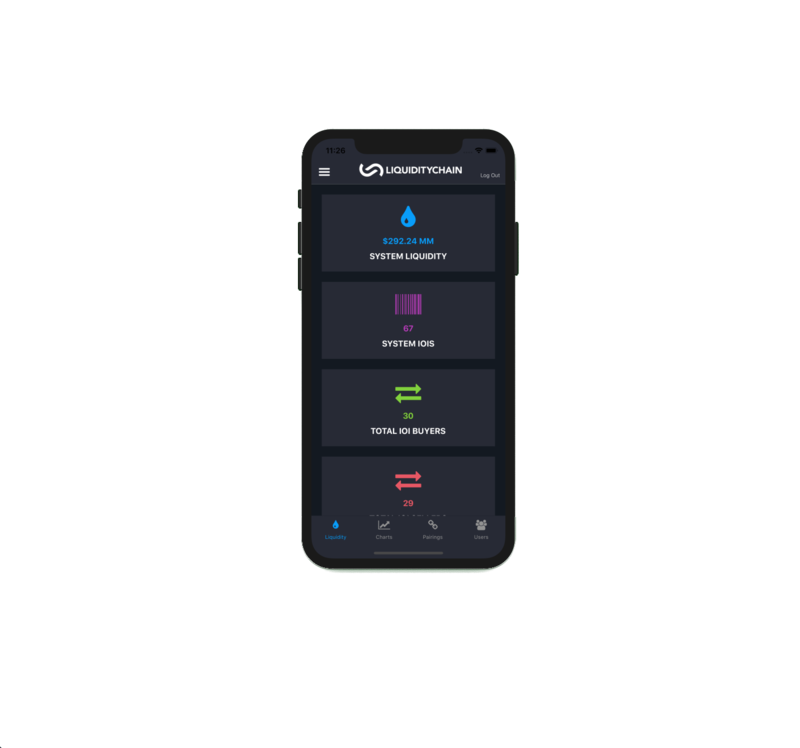 LiquidityChain Mobile is a cross platform mobile app built for both iPhone and Android mobile devices. It connects into the main LiquidityChain fixed income network to access data in real time from the users mobile device. Our client’s initial goal was to allow LiquidityChain administrators view and interact with Production data while on the move and be able to see at a glance what was occuring on the system. The project went so well that the client decided to increase the functionality of the app to allow not just admins but also users to access the app. These users will soon be able to manage their Portfolios, manipulate their interests and even search for or add new interests. These features will afford them the freedom to stay connected to their interests at all times and if the market moves, they can react extremely quickly.